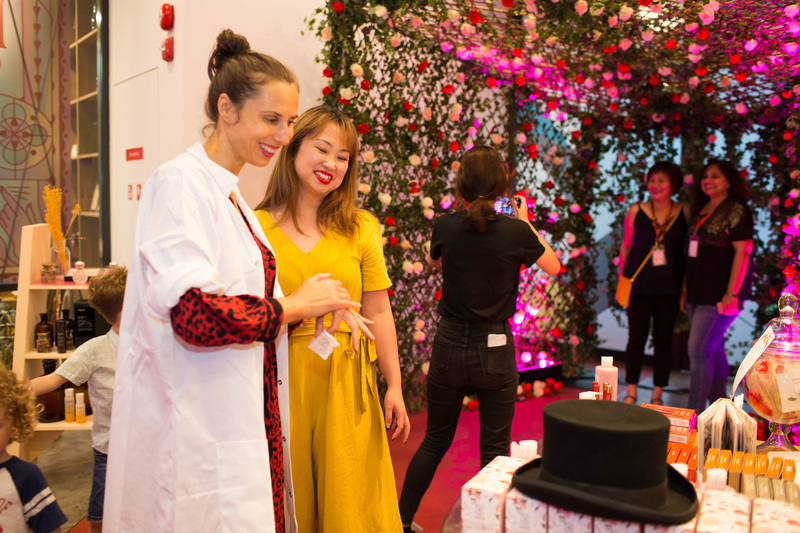 The Urban Yoga was festival partner of Sensorium, Singapore’s first carnival of the senses organised by AllSense Pte Ltd. AllSense is Singapore’s leading company in designing experiences that tell unforgettable stories about brands, products & spaces. 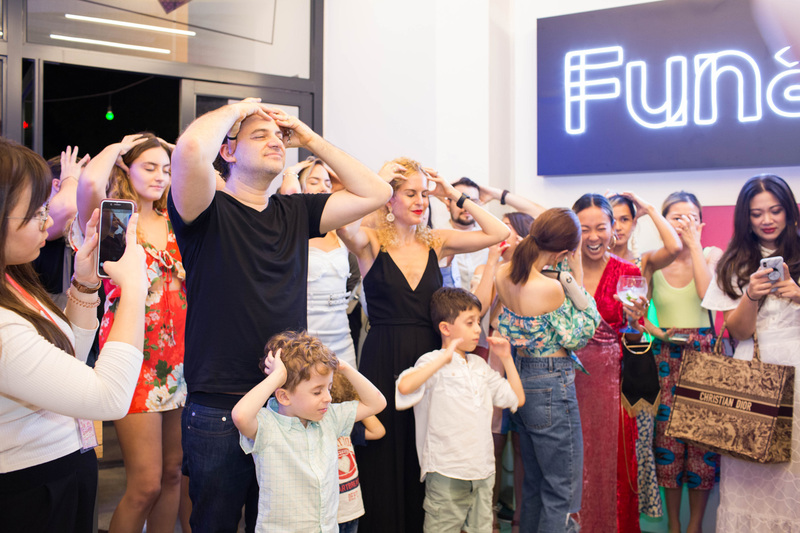 Their annual Sensorium festival showcases fantastical performances & installations and provides brand experiences through sensorial workshops and labs. 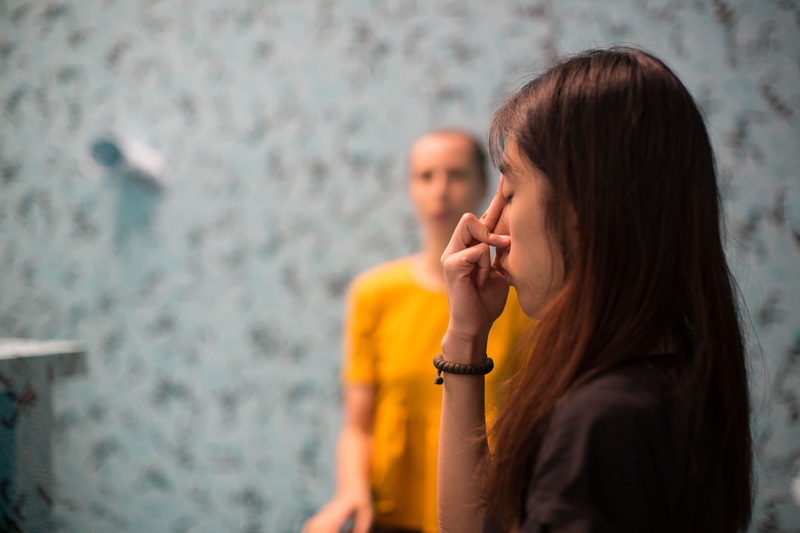 We were invited with The Urban Yoga to facilitate a yoga & sensorial workshop for urban dwellers and to cary out a performance together with dance graduates from La Salle College of the Arts. 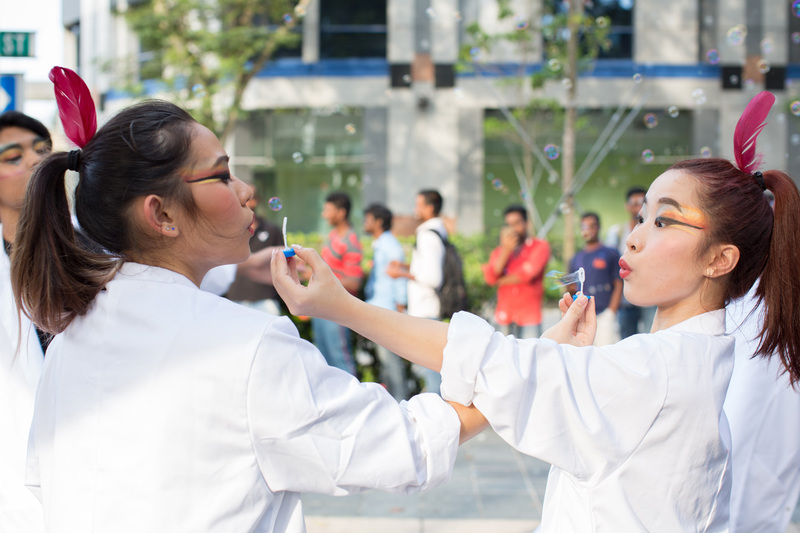 Performance by dance graduates from La Salle College of the Arts. The Urban Yoga Activity: Learning the ritual of Bumble Bee Breathing, the first induction into the world of Sensorium. The Urban Yoga Activity: Visitors must successfully learn the Bumble Bee Breathing before being granted entry. 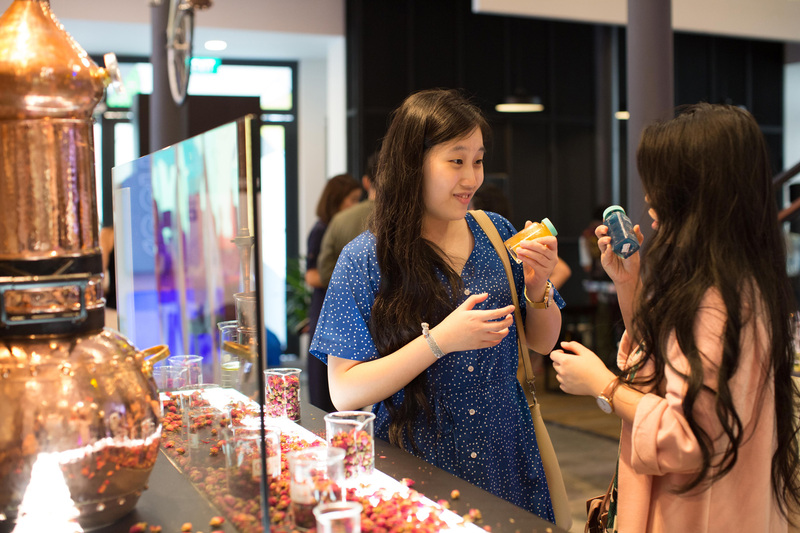 Mamonde Skincare: Discovering unique skincare tips and tricks, as well as learning how to maximise the floral benefits. Rose distillery, a mesmerising adventure into the world of distilling rose petals, producing the spirit and fragrance of rose mists and creams. 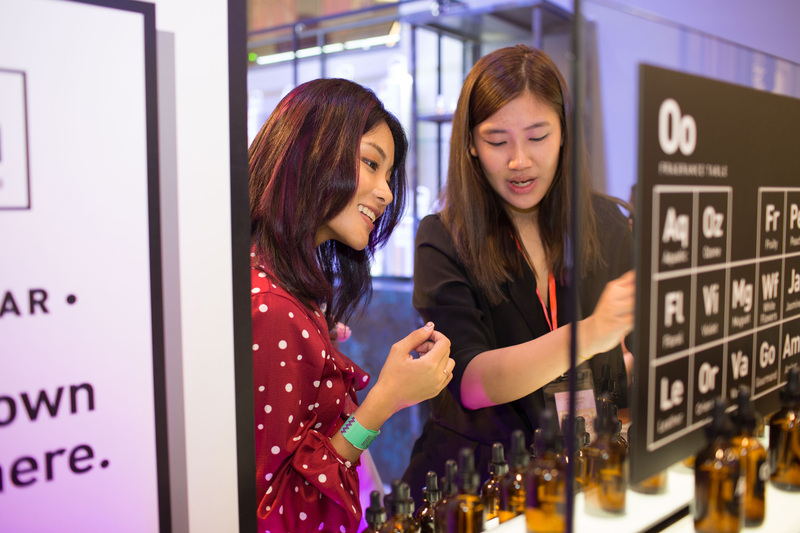 Oo La Lab: sharing insights on how to create a personal scent wardrobe and craft your own ritual fragrance that will evoke character, mood & context. 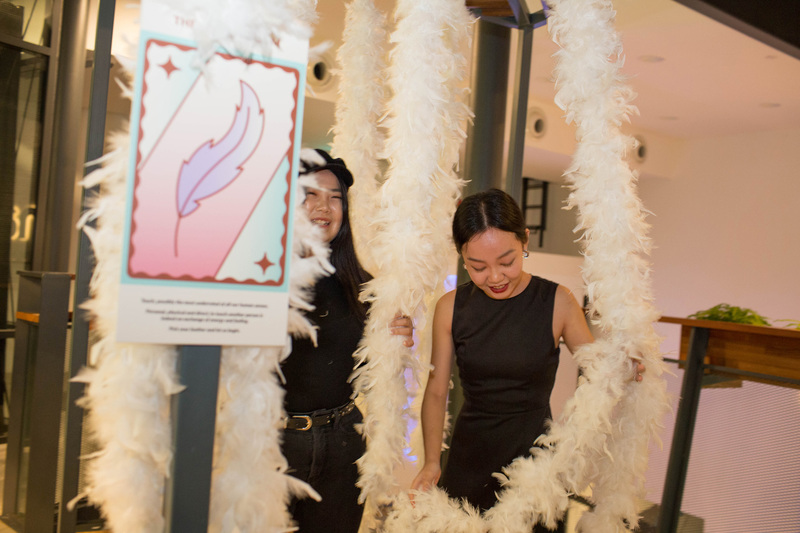 The Tickle Room: Pick your feather and let’s begin encounter with a romantic partner, or tickle as torture. The Urban Yoga Workshop: Discovering key stretching & breathing techniques, so simple you can practice them from the comfort of your own office desk & chair. 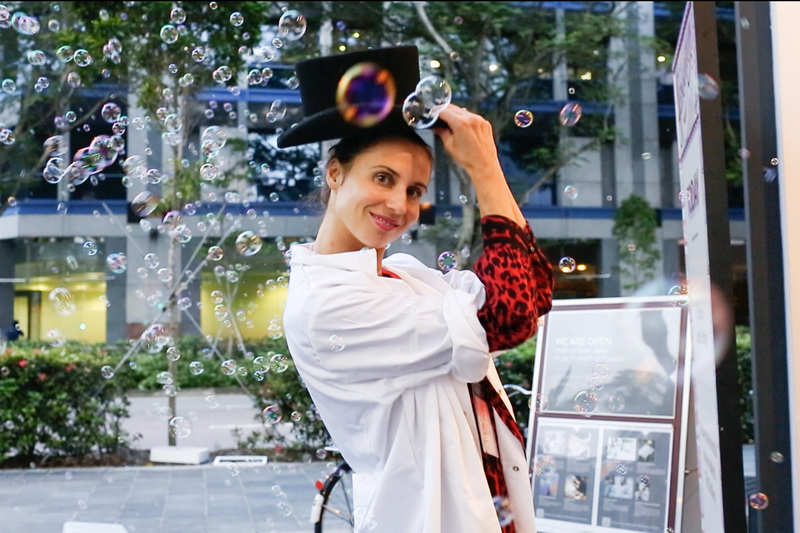 The Urban Yoga Workshop: remedies and rituals that unlock your energy & focus, creativity & calm. 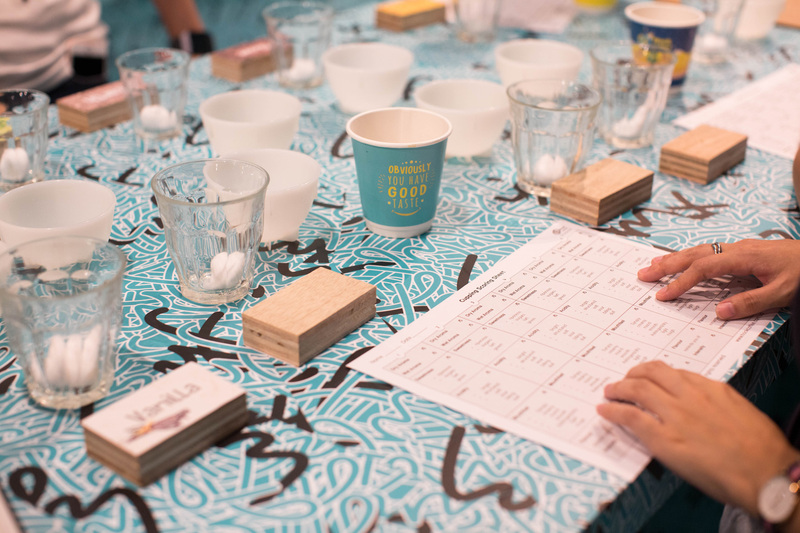 Joining Hook Coffee’s team for a sensory workshop to discover the various aromas and flavour profiles of coffee! 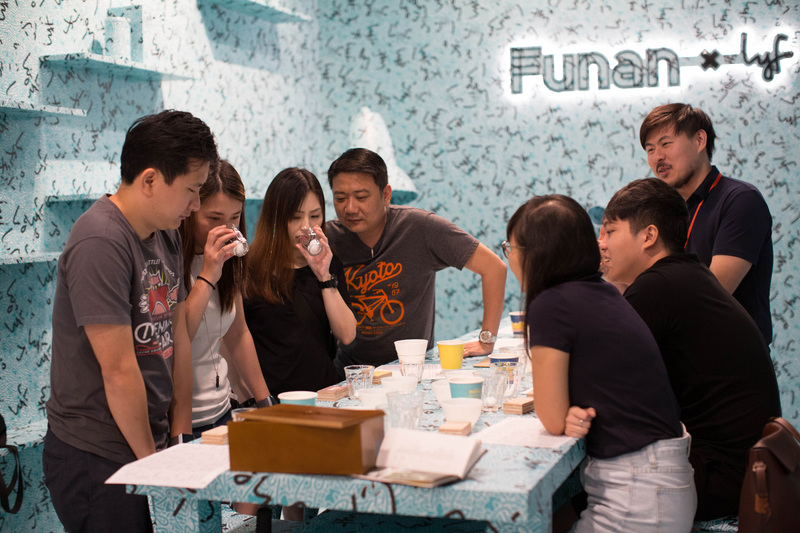 Ranging from fruity, flowery, spicy to nutty – engaging in a coffee cupping to put our sensory techniques to the test. 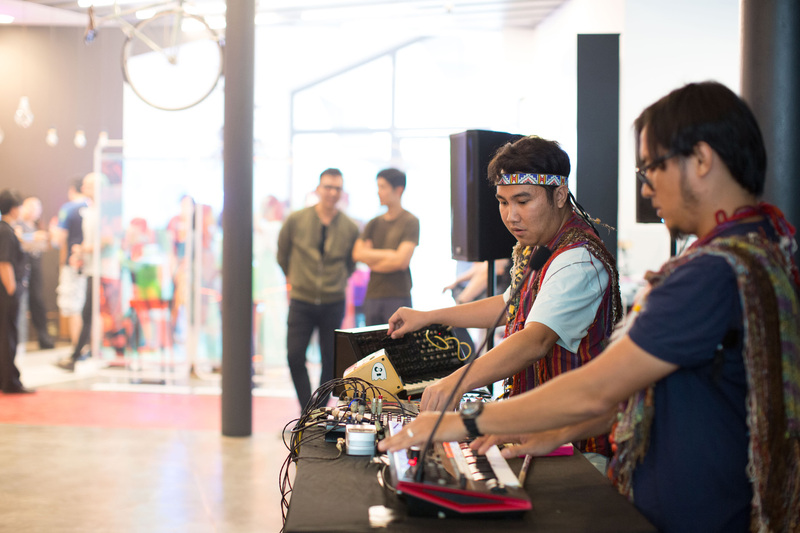 The BottleSmoker are never to be missed live! Dance electronic duo from Indonesia. 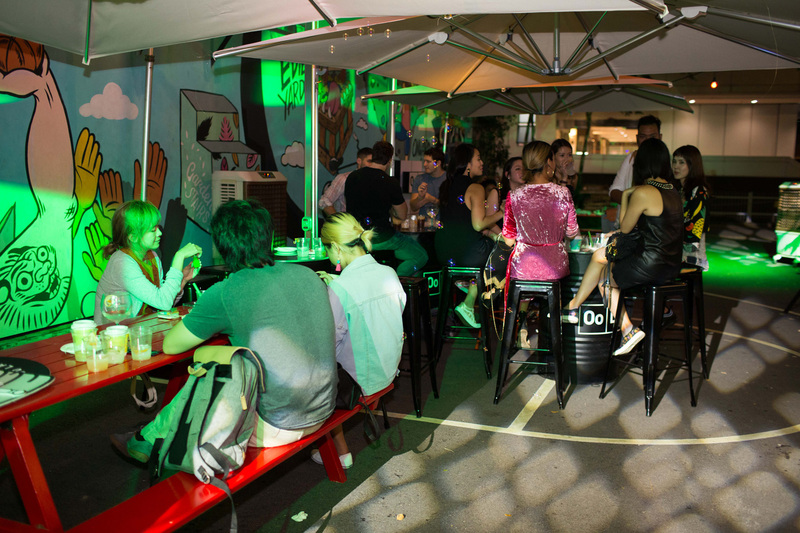 Sensorium outdoor lounge area; enjoying food, drinks and some relaxed time with friends. Would you like to collaborate with The Urban Yoga and enjoy our unique approach and people skills? 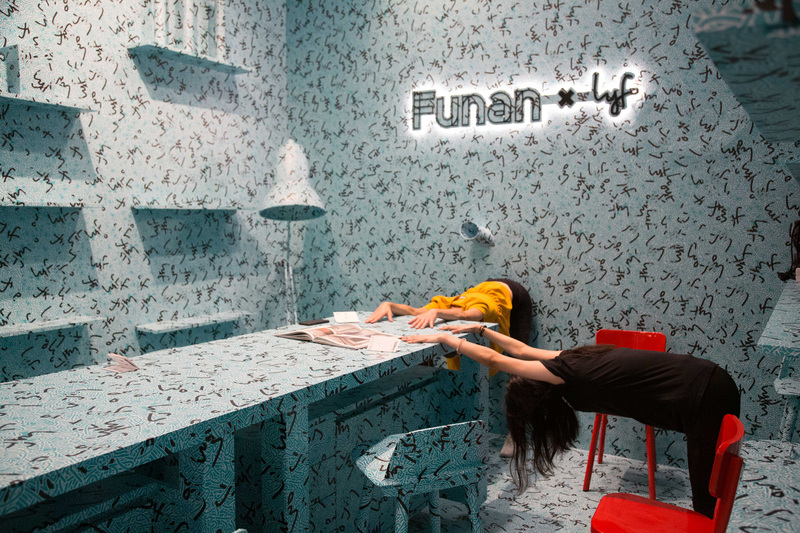 Just get in touch with us – we would love to design a workshop for you.